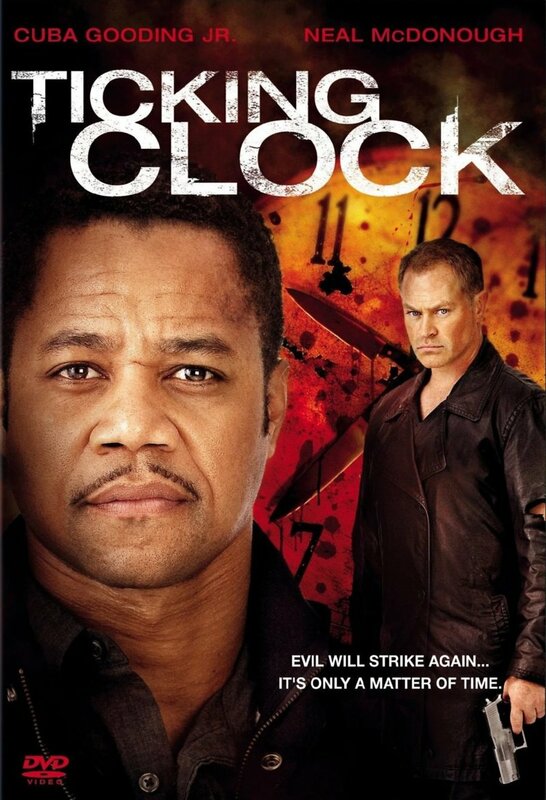 Ticking Clock DVD and Blu-ray release date was set for January 4, 2011. When investigative reporter Lewis Hicks stumbles onto the scene of a murder, he unsuccessfully pursues the killer, but narrowly manages to procure a clue about his identity. Having discovered the killer's journal, Lewis tries to uncover who his next victims will be. But as his pleas to the police go unheard and bodies continue to mount, Lewis is driven on a personal pursuit for the identity of the killer by using his skills as an investigative journalist. Having interviewed family members of the victims, Lewis finally deduces manages to deduce the true identity of the man responsible. But when the killer's pocket watch is revealed to be a time machine and his murders an attempt to correct past mistakes, Lewis struggles to cope with the moral implications.